Halloween, 1987 fell on a Saturday, and that's why it was doubly disappointing to us that no trick-or-treaters knocked on our door. My wife, Janet, and I, along with our brand new beagle puppy Jake, had moved into the farmhouse along a rural stretch of US Highway 25 midway between Bowling Green and Perrysburg, Ohio two weeks earlier and were excited to spend the first "holiday" in our new home. We didn't expect a large turnout, of course, but there were a dozen or so houses within a mile or two of ours and we assumed at least a few of them must have children. Sure, we were new to the area and had not yet had the opportunity to meet anyone except the "older" (they were mid-50's, about the same age I am now) couple next door, but we assumed that people would [super] naturally gravitate to a house with a carved pumpkin and illuminated porch lights on Halloween. Wanting to make a good impression, we had stocked up on a selection of full-size candy bars, and had a gallon of apple cider at the ready should any of the adults want to stop and chat for a minute. At the first sign of dusk, about 6:30, we lit the candle in our carefully carved jack o'lantern and turned on the porch lights. Jake barked expectantly as we positioned ourselves on the sofa near the door and waited... and waited. Around 7:30 it was full dark and I walked the 30 yards out to the highway and wondered if maybe we should have put some sort of sign out by the mailbox. The neighbor's house was completely dark. They were either out for the evening or had turned in VERY early. There were no cars filled with little ghosts, ghouls or witches stopped anywhere along the road, so far as I could see. Well, it was still early. I returned to the house, poured myself a glass of cider and unwrapped a Clark bar. Jake had curled up on the sofa next to Janet, who was paging through an accounting journal. "Let's see if there are any Halloween shows on TV." By the mid-80's, more than 70% of the households in the U.S. had access to cable, but our house was not one of them. Consequently, we had access to four channels, not counting PBS... because, seriously, who counts PBS. Two of the channels were broadcasting the tail-ends of uninteresting college football games, the third was running some sort of Lawrence Welk-esque variety show and the fourth some syndicated game show. Nothing very Halloween-ish. Where was the holiday spirit? The Sunday before, NBC had broadcast a cheesy made-for-TV horror movie called Bay Coven which we had watched with the intent and undivided attention of a rural couple with no cable. Pamela Sue Martin and Tim Matheson played yuppies who moved from their Manhattan apartment to an isolated community off the coast of Massachusetts (I could relate!) which was secretly inhabited by a coven of witches (Not so much!). Around 8:30 we finally gave up, turned off the porch light, blew out the candle and resigned ourselves to the fact that folks in that part of the county must not do Halloween. Of course, we woke up Sunday morning to find that wasn't exactly true, since someone had toilet-papered our apple tree and put Vaseline on the door handles of our cars. 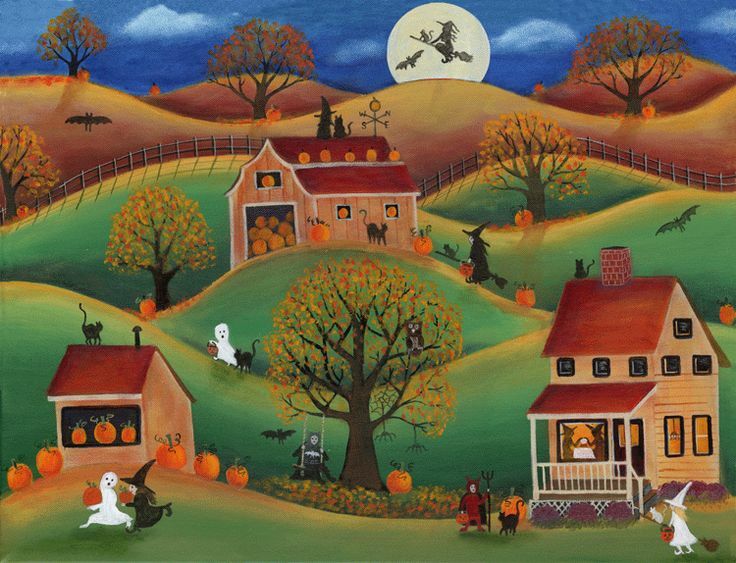 The trick-or-treater no-show was merely the first in a series of misfires, disappointments, and outright failures that would come to characterize the four years we spent in what we would derisively come to call "The Little House on the Highway." Looking back, it's easy to see how hopelessly naive we were about our first homesteading experience. From the worm-ridden apple orchard to the sulfur-infused groundwater to the oddly infertile soil, the problems built up one on top of the other until they crushed our ambitions for a "simple life" under their considerable weight. Maybe if we had some of the resources available today; the Internet, excellent homesteading books and magazines, and access to a knowledgeable support network, things would have been different, but somehow I doubt it. I have come to understand that when it came to homesteading 1987 wasn't my time and Wood County wasn't my place. There were things I needed to do, needed to see, had to experience before settling down to that simple life. If the trick-or-treaters had shown up that Halloween thirty years ago, or my apple orchard prospered I might never have had the chance to spend St. Patrick's Day in Boston or the 4th of July in Alaska or the blustery Halloween nearly a decade later in Charlotte that convinced me that this is where I wanted to live and build my first successful homestead. This is the first of three holiday-themed articles I will be publishing between now and the end of the year in recognition of the 30th anniversary of The Little House on the Highway. 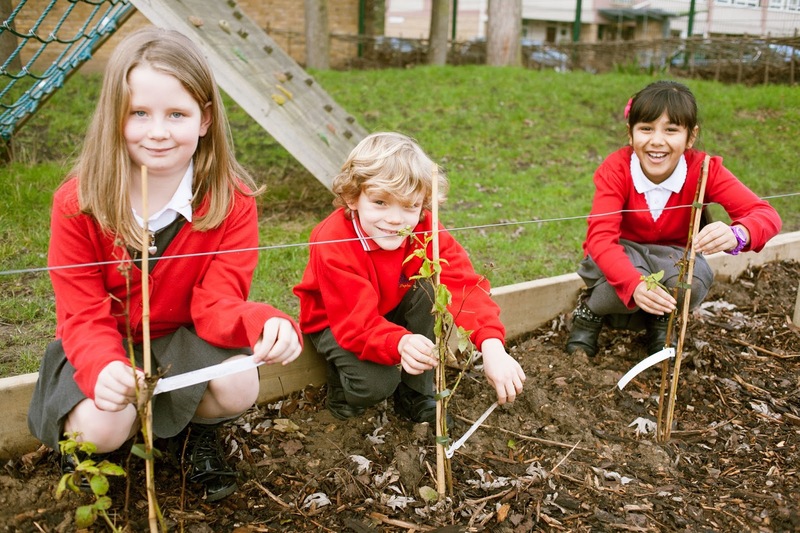 Unschooling: When Is An Outdoor Education Not An Education? When I was a senior in high school, I took an aptitude test that indicated the occupation for which I was best suited was... forest ranger. I laughed and laughed. Forest ranger! What a ridiculous idea! Well, as you have probably gathered, time has proven that idea to be far less ridiculous than I thought. For better or worse, our educational infrastructure is designed to target very specific skills and promote very mainstream career options, often to the detriment of creativity and unorthodox choices. I see this in my day job as an economic developer for a rural community; manufacturing careers have been devalued to the point where we need special programs to explain to middle school students that there are good career opportunities in advanced manufacturing. I'm not saying that had my high school's curriculum been a but different, I would have embraced rather than scoffed at a job with the forest service. I'm not sure that, ultimately, I would have lived happily ever after with my little woodland friends, but the lack of any sort of "outdoor" component in that curriculum certainly contributed to my negative attitudes about that path. That's why Ben Hewitt's article, We Don't Need No Education, in the September issue of Outside magazine struck a chord with me. In it, Hewitt details the growing "unschooler" movement, and why he decided to eschew traditional educational pathways for his two boys, Rye (12) and Fin (9) and essentially let them educate themselves on the farm and in the woods near their Vermont home. I will be the first to admit that I am somewhat on the fence about home schooling. While I believe it is a parent's right to educate their children in any reasonable way they see fit, I do wonder about the unintended consequences. While a good part of my middle and high school experience was less than wonderful, I did develop some social (survival) skills and do have a few good memories. And the more negative aspects unquestionably hardened me and taught me how to deal with a broader society that can be difficult. Hewitt positions his "unschooling" methods as an even more fundamental form of education than traditional home schooling. And lest you think he is some sort of backwoods anti-government survivalist type, he and his wife are both well-educated and well-grounded and appear to lean to the left politically. His distaste for school can be traced back to his own time in an educational system which he has likened to incarceration. More to the point, he feels the system failed him by stifling his creativity and preventing him from pursuing activities in which he had an interest and aptitude while promoting more mainstream pursuits which were, for him, a dead end. While he acknowledges that children will not spontaneously learn things such as reading and math, he believes that structured learning component should take up no more than a couple of hours per week. I am with Hewitt to a point, and that point comes about halfway through the article when he suggests that this approach would work equally well on the streets of a big city as it does in rural New England. I'm sorry, but the things an enterprising 10-year-old explorer comes across in the woods is SIGNIFICANTLY different than those they would discover on the streets, and while there are unquestionably things in both places which could potentially be dangerous, I prefer to take my chances with nature. I definitely think there is some merit to Hewitt's overall reasoning, but from a practical standpoint, I think there are circumstances in which his version of anti-education could be effective and appropriate, and circumstances in which it clearly is not. Read the article and let me know what you think. 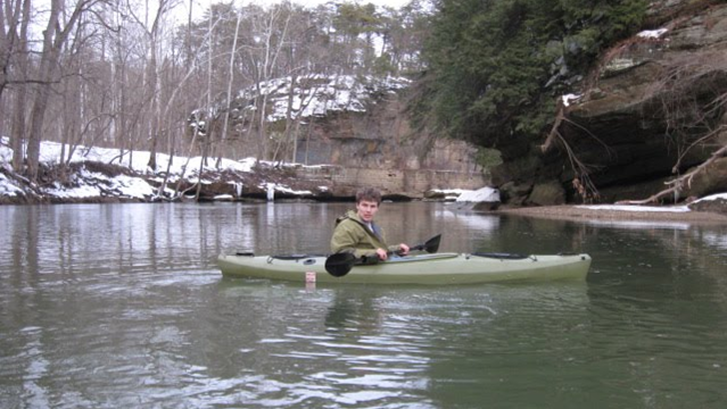 Kayak angling offers many advantages over traditional motor boat fishing, not the least of which is the relative ease of seasonal storage compared to a boat. With a kayak there are no fuel tanks to be drained or lines to be cleared; no engines to be winterized. As we work our way through October and head toward November, even in these warmer climes, a lot of motor boat owners start thinking about storing for the winter, and even paddlers often see the shorter days as good reason to stow their kayaks until spring and begin thinking more about deer and duck. Because I am not a hunter and my fall days are not consumed with thoughts of blinds and stands, I tend to bleed every last drop out of the fishing season. And the truth is, I actually like these cooler days on the water after the hordes of recreational boaters that clog the waterways May though September have largely evaporated and it is possible to spend an entire Saturday morning paddling and fishing without encountering even one lunatic jet-skier. Although most fishermen would consider October and November to be "off-season" for big bass, those months can actually be surprisingly productive, if you are using the right techniques. The key to finding trophy bass in October and November is fishing slow and deep. This is the time to pull those slow-running, deep-diving lures with the outrageous platypus lips out from the bottom of the tackle box and give them a cast. In the cooler autumnal months, lakes have turned over and fish can be found deeper than during the summer. A lake turns over when the water on top is colder than the water on the bottom, due to seasonal changes in temperature and density. In general, fish favor warmer water and so, all things being equal, they tend to run deeper in the colder months. Many anglers also believe that the shorter days and cooler temperatures trigger some sort of a feeding response I big bass, a get-it-while-you-can mentality. Although deep diving crankbaits are relatively new in the world of bass fishing, having been around only since the late 80's, a tremendous variety can be found in even the most inventory-challenged bait and tackle shop. While manufacturers often list their baits as diving as deep as 20 feet, a more realistic number in practical usage would probably be 15 to 18 feet. Although you will need to crank a little faster early in the retrieve in order to get the lure to depth, a good quality diver will hold its depth throughout a fairly slow retrieve. And don't worry if the water you're fishing is shallower than the max depth of your lure. Many fishermen like to run and bounce their divers along the bottom, mimicking the action of small baitfish. Certified Outdoorsman... or Just Certifiable? A couple of years ago, I sent out a press release announcing my participation in the 28.3 mile Ultimate Hike Against Children's Cancer. The purpose was to generate awareness of the event and, hopefully, to help me solicit donations for the cause. I was pleased when two local newspapers, the Statesville Record & Landmark and the Lake Norman Citizen picked up the story, but there was one thing about the Citizen article which bothered me a little. The press release was a modification of a boilerplate document provided by Ultimate Hike, and one of the lines read something like, "as an outdoorsman and adventurer, I am familiar with the risks and rewards... yada, yada, yada." The Statesville paper printed that line more or less verbatim, but the Lake Norman paper printed, "Marek, who describes himself as an outdoorsman..." I hate to be disagreeable, Mr. Editor, but when you finish your 28 mile hike and the 100 plus hours of arduous outdoor training for it, perhaps you can question my credentials as an "outdoorsman." Until then, you're just going to have to take my word for it. 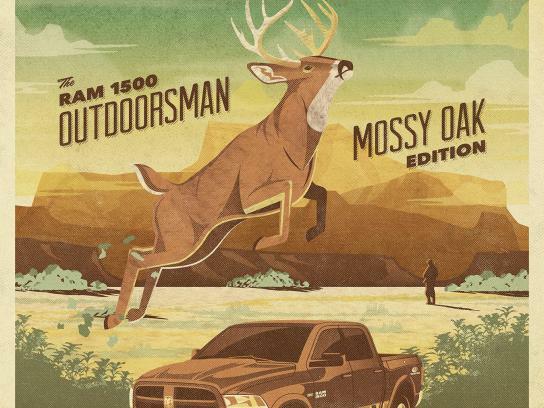 It does beg the question, though, what makes someone an outdoorsman? In the economic development world, we speak of industry-recognized credentials. If you're a certified welder, you're a certified welder. If you're a registered nurse, you're a registered nurse. But, short of being a Maine Guide, there's no standardized credential that makes you an outdoorsman. Every year when my new guide license arrives in the mail, I open the envelope and proclaim in my best James Bond voice, "licensed to kill fish, by the State of North Carolina." Does holding a fishing or a hunting license make you an outdoorsman? If so, that's a pretty low standard, as credentials go. What about clothing? The Robertson clan on Duck Dynasty (remember them?) brought camo so far into the mainstream that ten-year-olds who wouldn't know which end of a rod or gun to hold are dressed to (not) kill in RealTree; but I'm going to confess, I don't own a single piece of camo clothing. It's been my experience that the fish aren't fooled one bit by it, and I'm not sure all that many land animals are either. I've always been more of the L.L. Bean type; button-down flannels and Gore-Tex-lined chinos. Phil, Si and the boys had a nice run, but in ten years no one will remember Duck Dynasty and the world will still be buying L.L. Bean. Some things are timeless... and deserve to be. So if it's not what you wear, maybe it's what you drive. I was paging through Popular Mechanics the other day and came across an article comparing full-size pick-up trucks, and was kind of surprised to see that the stickers on those bad boys were all a good bit north of 40 grand. Seriously, forty-freakin'-thousand-dollars for a PICK UP TRUCK? No thanks. I've become fond of saying that my next new car is going to be a 30-year-old truck... or more accurately, SUV. Been keeping my eyes open for a late-80's/early-90's Jeep Grand Wagoneer. 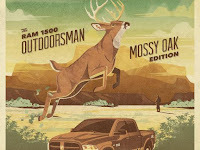 Now that's an outdoorsman's vehicle. Sure, they get 10 miles to the gallon, but what's a couple of oil wells? Until The Jesus Cow, author Michael Perry was known primarily for non-fiction writing which detailed the lives of rural Wisconsinites, so I was very interested to see how he would tackle a work of fiction that dealt with made-up versions of those same people. Whether though fiction or non-fiction, Perry is at his heart a storyteller, and he excels at crafting interesting characters and placing them in interesting situations. As you might expect from a novel called The Jesus Cow, there is a bit of an absurdist tone to much of the book, but it is balanced with serious reflections on faith materialism, loneliness and the vagaries of adult romance. The plot involves a farmer, Harley Jackson, who births a Holstein calf on Christmas Eve. The calf bears a spot on its flank that looks like the face of Jesus. Concerned about the unwanted attention the calf might bring to his life, he initially tries to hide it, but eventually gives in to temptation and exploits the calf for financial gain. While this is happening, he meets and falls for a new woman in town, and it is in Perry's depiction of the course of this relationship that the book really finds its footing. I suspect there are few readers who will not relate all too well to this particular story arc. In the end, Perry swaps wink-and-nod humor for all out semi-apocalyptic silliness, and honestly I'm not sure there's really any other way to complete a story like this. 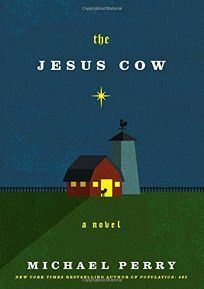 The Jesus Cow doesn't have the emotional resonance of Truck: A Love Story, but it is a nicely wrought fiction that will occasionally make you think and occasionally make you laugh, and that's more than I can say for most of the books I read. I grade it B+. It's odd, I suppose, that I wait until autumn each year to set my scarecrow out, since it's purpose is ostensibly to protect the garden from birds and small animals that might eat the seeds or disturb the crop. During the growing season, I use a variety of modern techniques to keep the critters away from my plants, everything from organic sprays to ultrasonic repellers to traps, but when the days get short and the evenings get cool, I like to bring out Ol' Slim. Scarecrows of Slim's sort have been keeping the crows away for centuries, and have had a spooky presence in literature for nearly as long. A Japanese book written in the 700's tells the story of an all-knowing scarecrow deity, Kuebiko. Closer to home, Nathaniel Hawthorne's 1852 story "Feathertop" is about a witch who casts a spell on a scarecrow, bringing him to life in order to woo the young daughter of a rival. And, of course, a scarecrow plays a major role in L. Frank Baum's tale The Wonderful Wizard of Oz, although that scarecrow is notably less menacing. Down through the years, the scarecrow's primary job was to act as a wildlife deterrent, but it's not hard to see how they began moonlighting in horror fiction. The overall image of a dead man hanging on a pole in the middle of a field is as fertile ground for the imagination as the soil beneath it is for corn. These days, commercial farmers still use scarecrows, of a sort, but they are now more typically hanging mylar curtains that move in the breeze and reflect sunlight or mechanical devices that issue a loud sound at irregular intervals. The mannequin-style scarecrow has largely been relegated to seasonal decoration or as a nostalgic throwback for small-scale farmers and gardeners. For me it has become one of the cherished rituals of autumn, along with Indian corn and pumpkins.